On the menu today is the delicious and mouth-watering Efo –riro served with poundo yam. This is one easy recipe that is perfect for weekend lunch; especially if you are a busy exec that works Mondays to Friday’s, week in week out. What you need is your weekend rest and a quick recipe to keep your family happy. This is just the right recipe for you because it is quick and easy to make, healthy and delicious as well. No hectic preparations and you will get your family happy and satisfied this weekend. 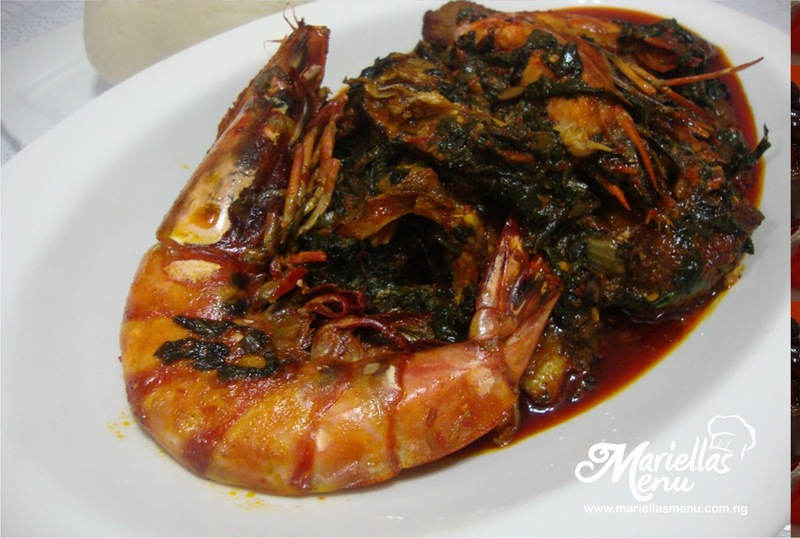 This delicious recipe is one of the very few one pot dishes from the south western Yoruba tribes and it is made with assorted meats, smoked fish, blended pepper mix, Iru and most importantly, green leafy vegetables. 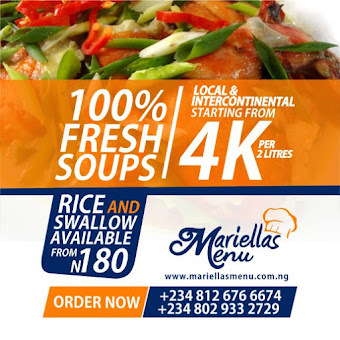 The one good thing about this dish is that there are so many variations to it and you can totally make it your own by adding what pleases you into the dish, you can either add assorted meats or only smoked fish and cow skin and it will still come put perfect. 5) In a clean pot, add in the palm oil and allow to heat for 2 minutes, add in the parboiled beef and fry for 5 minutes. Cooks tip: this is a totally optional process, if you do not want your beef fried, you can skip this step. 6) Once the beef is fried, quickly add in the other half of the sliced onions into the palm oil, stir quickly because the palm oil is already hot, you do not want the onions charred. (9) Then add in the washed smoked fish. 11) Once that is done,squeeze out all the water from the blanched Shoko (green vegetables) add this into the pot. you will notice that the vegetables mops up all the fried sauce. stir well and allow to simmer for two minutes and your delicious Efo-riro is ready!!!! Serve piping hot with Iyan and have your family licking their fingers this weekend! Watch out for my next delicious post and don’t forget to drop your comments below, I am blessed by them! How To Make Zobo Drink in 5 Steps! Zogale (Moringa Salad) - A Delicious Superfood! Hello everyone! 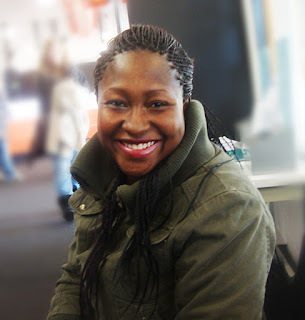 !, my name is Mariah Adeboboye, I am a self taught cook and a food connoisseur and you are welcome to my food blog.